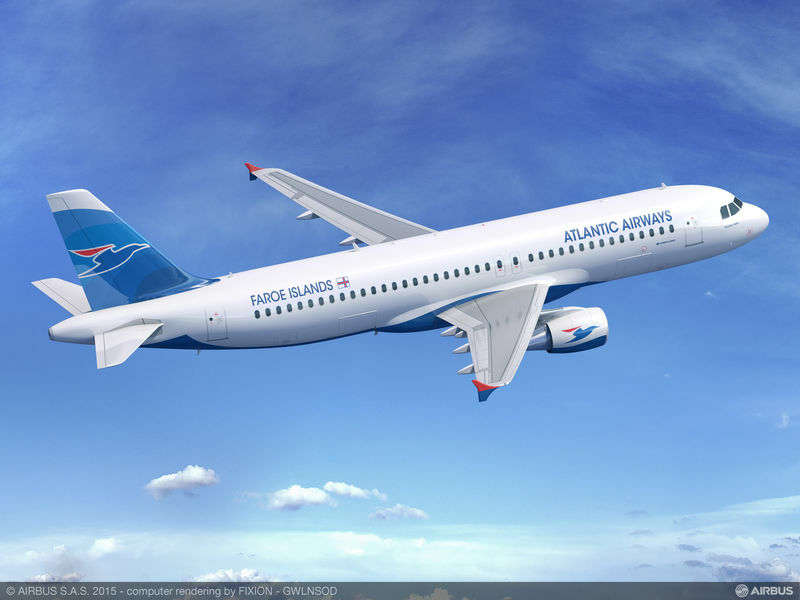 Atlantic Airways, based in the Faroe Islands has signed a firm order for one new Airbus A320. With this order Atlantic Airways becomes a new A320 customer. The aircraft will be delivered at the end of 2016, enabling the carrier to tap into the growing passenger market between the Faroes and Copenhagen. Atlantic Airways’ A320 will have 168 seats. The airline operates already three Airbus A319s. The A320 was chosen by Atlantic Airways for its unrivalled economics, performance and operability in challenging environmental conditions. The aircraft has Required Navigation Performance (RNP 0.1) capability built-in, which enables the aircraft to fly precisely along predefined routes using state-of-the-art on-board navigation systems. Atlantic Airways were the first airline in Europe to use the Required Navigation Performance approach. “Aviation is our window to the world. Our new A320 will help us to expand air services in the region, to increase capacity by offering our passengers the opportunity to travel in style and comfort,” said Niels MORTENSEN, Chairman of the Board of Directors Atlantic Airways. The A320 Family is the world’s best-selling single aisle product line with over 11,700 orders to date and over 6,550 aircraft delivered to more than 300 operators worldwide. Previous articleIATA Airlines to address carry-on bag dilemma. Same size for everyone?